I’ve always believed that thin threads bring people into our lives and in the Summer of 2012, a friend gave me a CD that introduced me to Darren Hardy, who at the time was the Publisher of Success Magazine. Darren is one of the sharpest guys on the planet and I’ve been studying and following his teachings to the present day. In the Summer of 2016, I had the good fortune to see him speak in Dallas, TX at a Brian Tracy Success seminar. As much as I appreciate Brian Tracy, I went to see Darren and he didn’t disappoint. His talk on the “Productivity Secrets of Super-Achievers” was awesome and I walked away enrolled in his 12 week course called Insane Productivity. The course literally changed my life in how I structure my days and weeks and my thinking in general regarding success and high productivity. Unfortunately, the course is only opened to the public periodically so if you ever have the opportunity, jump in and you’ll be glad you did. Your best bet for staying up to date with Darren’s current promotions is to register for “Darren Daily”. This is a free video program offered every week Monday through Friday in the early morning. The content is awesome and he regularly includes special offerings including a heads up on enrolling in Insane Productivity. Technology is changing our lives today faster than ever before in the history of the world. We are living in exciting times and yet it can be pretty overwhelming with the new information we’re being bombarded with daily. The world’s collective knowledge used to accumulate in a linear fashion, however in the late 80’s to early 90’s the progression became linear. The result is that in the 21st century, we will experience 20,000 years of growth according to the renowned and brilliant scientist, Ray Kurzweil. This means that for every year, we will experience 200 years of growth. And it’s no wonder that we sometimes feel like someone pushed the fast-forward button on life. In defense of the hectic pace of daily life, many people have adopted the practice of multi-tasking as a skill and wear it like a badge of honor. The truth is there is no such thing as multi-tasking. You can strategically layer separate tasks and ultimately get two things done at once. For example, you can work out on a piece of cardio equipment at your gym and listen to music or read at the same time. However in its purest form, multi-tasking is simply impossible. Don’t believe me? Try this little exercise. Count from 1 to 10 as fast as you can out loud. Now say the letters of the alphabet from A to J again as fast as you can out loud. Now alternate numbers and letters 1A, 2B, 3C and ect all the way to 10J. Did you notice the obvious slow down and drop in your pace? It’s because you can’t run two cognitive processes in the same part of your brain simultaneously. What you’re actually doing is “switching”. And switching makes you dumber than if you’re stoned. According to CNN, statistically your IQ drops 5 points when your stoned. Switching drops your IQ by 10. This is why it’s so dangerous to text and drive. When you’re texting and driving, you’re not doing two separate activities. You’re creating a whole new activity which makes you six times more cognitively impaired than when you’re legally drunk. You are quite literally a lethal weapon. When you first wake up in the morning, what do you grab first…your phone or your spouse? Statistically in today’s world, the phone wins. Do you find yourself checking email or Facebook before going to bed? How about in the middle of the night? How about when you go to the bathroom. Some people refuse to go to the bathroom without their phones. Wow! If you’re backing out of your driveway and realize you forgot your phone, do you go back to get it? If you answer yes to this, you may have Nomophobia which is the irrational fear of being without your mobile phone or being unable to use your phone for some reason. Do you check your email on the weekends, while on vacation, at your kids sporting events, or any other social event? Technology was supposed to make our lives easier and yet most people have become a slave to their technology and in particular their phones. Pardon my little phone rant. It’s just sad to see the progression and how disconnected we’re becoming as a population given the attraction to our electronic screens. Our children are literally growing up handicapped in terms of developing healthy and natural social skills because of their over-reliance and dare I say addiction to their phones and social media in general. Now back to multi-tasking. 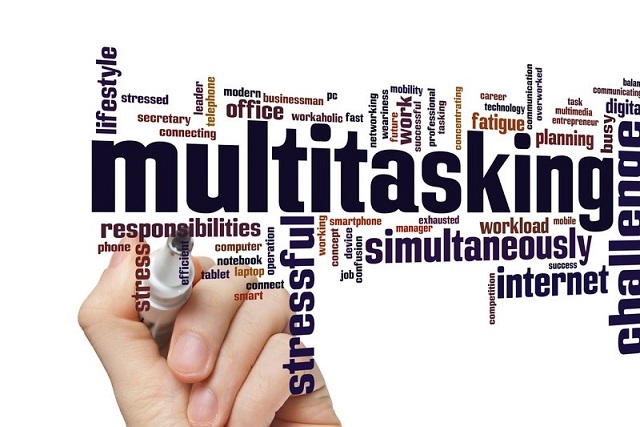 So, if multi-tasking is impossible, what is the best way to get things done? The answer is one thing at a time. 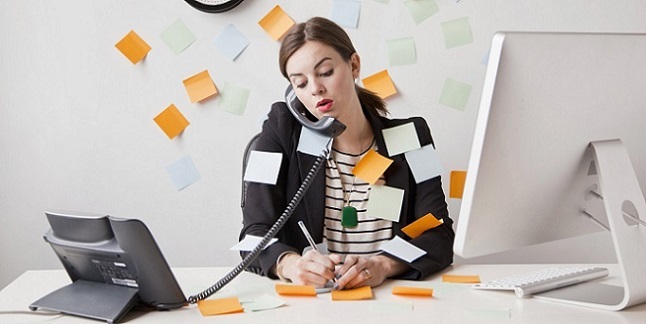 The highest achievers in the world are not attempting to multi-task. Rather they focus on their highest priorities and work on them one at a time. Now you may be thinking there’s no way I can do only one thing at a time because I have so many different task to accomplish each day. That may be true however, you will still be far more productive if you batch common tasks and then schedule them…tackling one at a time versus switching back and forth. Switching basically constitutes an interruption and it takes our minds 23 minutes and 15 seconds to regain a state of deep concentration after being disrupted. Avoiding distractions will probably be your biggest challenge in seeking to be more productive each day. Depending on what you do, you really have to protect yourself from distractions. Between technology and people, this can be difficult. Your mind can only focus on one task to a high degree for about 90 minutes and then you need a break. So if possible, schedule periods of high productivity each day with your head down and your blinders up. Afterwards, come up for air and deal with the activities that don’t require the same level of focus. This game plan of alternating periods of highly focused work with the inevitable social interactions required to function in most work environments can be very successful. One related strategy to avoid multi-tasking and achieving high productivity is the art of delegation. Depending on your position, you may have more or less ability to delegate, however, it is a vital tool for allowing you to focus on your highest producing activities. One of the keys to delegation is to know your worth. I don’t mean as a human being but what you literally bring to the bottom line per hour of work. For example, if your salary is $100,000 a year and you work an average of 50 hours a week for 50 weeks with 2 weeks off for vacation, your hourly rate is $40. Now the key to earning your keep and beyond is to consistently perform work worthy of $40 per hour. Checking email or worse, getting sucked in the social medial black hole is far from being worth your going rate. This is where you have to be extra vigilant in this day and age of constant social distractions coming at us from every direction. One other element in the art of delegation is knowing your strengths. You have to know your strengths and then fight like everything to work in areas that allow you to maximize them. As much as possible, delegate task that are not related to your strengths and strive to stay in your strength zone. In his classic “Good to Great”, Jim Collins teaches the importance of having the right people on the bus and then having them in the right seat. This concept perfectly validates the idea of operating in your strength zone. Whether you’re an employee or own your company, this strategy will ultimately bring about the highest good. Single Task – Batch your common activities and work in a more focused fashion rather than switching back and forth. Strive to work proactively rather than always living in a reactive mode. Given your individuals strengths, delegate (as much as your position allows) tasks that are not in alignment with your highest producing activities. Schedule multiple periods each working day for heads down concentrated work where you shut out the world’s distractions. Be sure to come up for air after 90 minutes because that truly is the human limit for sustained high level mental focus. During your scheduled high productivity blocks, turn off the outside world including alerts on your phone and computer. You will be far more successful at avoiding checking emails or texts when you don’t hear the alerts going off every few minutes. Remember that your to-do list will never be empty so don’t try to get everything done. Prioritize your activities and then work diligently on tackling the most important things first. Darren’s site below includes the option to sign up for his free “Darren Daily” as well as accessing any of the other products and services his team offers. 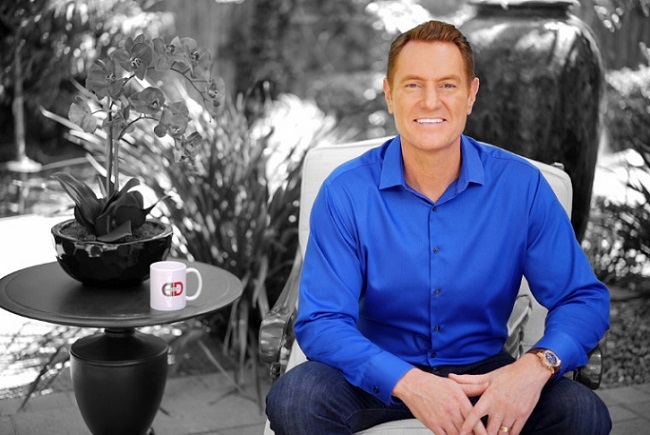 This entry was posted in Darren Hardy, personal development, social media, success, Uncategorized and tagged Darren Hardy, high productivity, Jim Collins, multi-tasking, personal development, social media, Stephen R Covey, success. Bookmark the permalink.